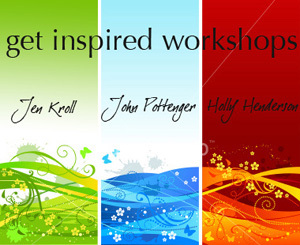 Jen Kroll Photography, Coastline Studios & Holly Henderson Photography are teaming up to and all new photography workshop! 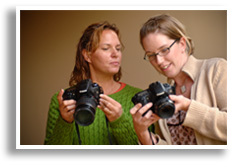 If you are looking to take your love of photography to the next level, these classes are perfect for you. From beginners to intermediate level photographers, this is an ideal means to building a solid foundation in the photographic arts and adding some fantastic images to your portfolio. SEATING IT LIMITED SO REGISTER TODAY! Jen believes she has the best job in the world. Since taking her business full-time in 2006, she has joined the ranks of the Grace Ormonde Platinum Vendor Listing, gained preferred status with several vendors, and was recently listed in The Knot's Best of Weddings 2008 magazine. The gift of photography has brought Jen through many different types of doors -- luxury events in amazing locations, intimate fine art portrait sessions, and into hospital rooms with grieving parents. She thrives on capturing the essence of her clients at their finest and most honest moments. Most importantly, photography has offered Jen the opportunity to be a stay at home mom with two precious sons, a loving husband, an obese cat, and a spastic Weimaraner. John has been taking pictures since 1997 semi-professionally doing primarily portrait photography and the occasional wedding. After 6 years of experience and further education in the field, John started Coastline Photography in 2003. With a focus on wedding and commercial photography, Coastline Photography saw steady growth in the industry. In 2006 Coastline Photography was reformed into Coastline Studios to better represent the growing video side of the business. John has taught photography and video at the college level at various Universities and Colleges in the Grand Rapids area, and currently mentors a small number of students in the photographic arts as the president of the Alumni Board for Compass Film Academy. He is a Grace Ormonde Platinum Vendor with Grace Ormonde, and currently the only preferred videographer with the elegant JW Marriott hotel, the Amway Grand Hotel and Oakland Hills Country Club. Holly has always been a photographer. She received her first camera for her 12th birthday and has literally been shooting ever since. You will never catch that girl without a Nikon because she shoots every single day. Holly proudly graduated with a BFA from the Savannah College of Art and Design with a degree in Photography and Art History. Her style is a blend of her fine art background and professional experience working for a major newspaper, ad agency and commercial studio. She brings spontaneity and great energy to every wedding that she photographs. Her images have won awards in galleries, featured in bridal magazines, and on the Wedding Channel. This will be the tenth summer that she and her husband Corey have been shooting together. They're an awesome team.